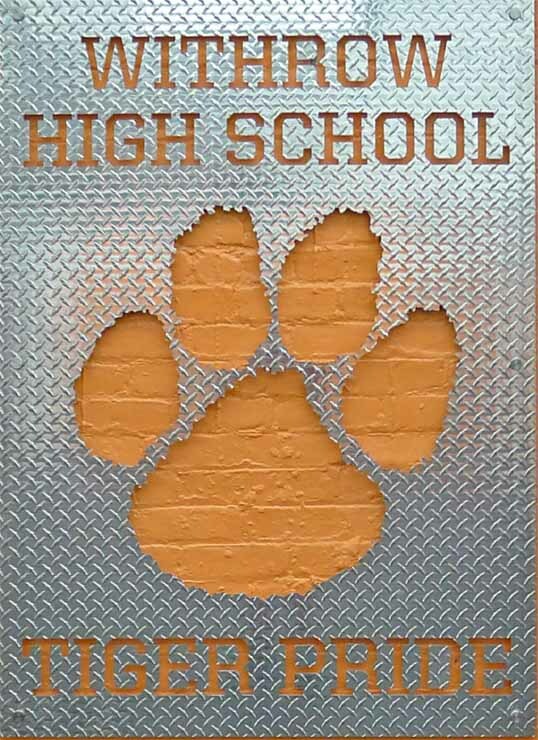 planning Centennial activities recognizing/celebrating Withrow’s rich heritage; etc. 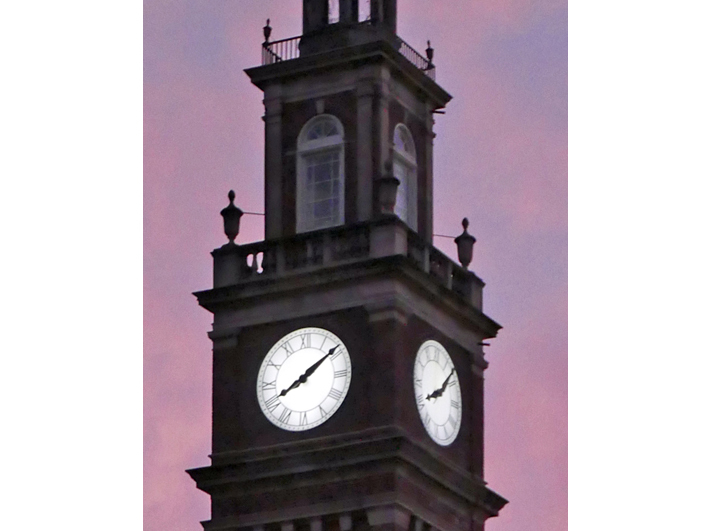 Clock Tower: The internal ventilation issues have been addressed, the four clock motors driving the clock hands have been replaced, and once again the Clock Tower accurately shines radiantly in the sky. Repair costs of $8,370 came under the $10,000 budget. 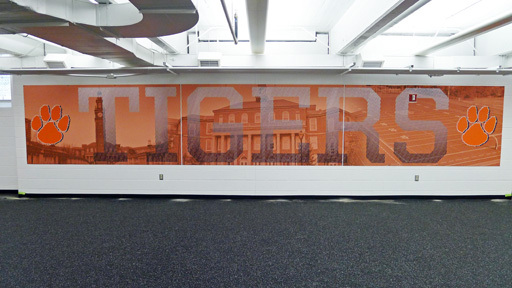 Weight Room Upgrades: Appropriate flooring has been installed, fresh paint and graphics adorn the walls, and new equipment including free weight platforms and racks have created an inviting physical fitness environment deeply appreciated by students and staff. Total cost of all upgrades ($41,295) is under the Board approved budget.Kroger Community Rewards Program: This past quarter resulted in a record high 100 households designating the Withrow Alumni Assn. as recipient in the Kroger Community Rewards program and generating over $600 for the Assn. If YOU live in Ohio, please consider joining the other 100 households in this easy way to support Withrow programs. To sign up, click HERE. Please donate to help us continue this valuable work. Thank You. Each time I receive the Tower News, I am amazed at what the Alumni Association has accomplished and the wonderful progress the school is making because of this support and the support of the community! The article about the Tigertown Book Drive touched me, and I thought a donation to this would be appropriate to honor the memory of a young friend of mine who passed at 23 to cancer. She was a graduate of SCPA, and I know she would be happy to help others learn. Keep up the wonderful, powerful work you are doing. Every young student will someday recognize the importance of education and Withrow. So sorry the school was vandalized like that. Hope the culprit is caught. The community coming together and the support from so many is meaningful – WOW! Good luck to the new principal, any new teachers and the incoming students. May the Withrow spirit abide in all! I was so very sorry to learn in the recent alumni Tower News of the hateful graffiti painted on our beloved Withrow. Living so far away, I had not heard of this previously, but am delighted that so many individuals of all ages, genders, races and religions stepped forward to offer their support and love.